Here we go again! 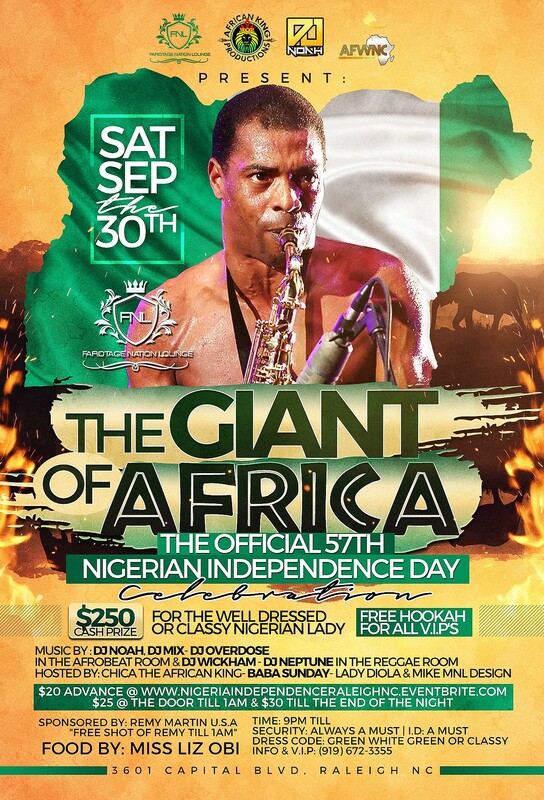 It’s the Giant of Africa Official 57th Nigerian Independence Day event at Farotage Nation Lounge. There’s a cash prize of $250 for the most classy and well-dressed Nigerian lady. Doors open @ 9:00PM sharp. Dress code is green and white, or classy. Be there! Get your advance tickets if you haven’t already here.